Docker is getting more and more popular nowadays. I have been using Docker in several Linux Distributions but I haven’t tried to install Docker on Windows 10. 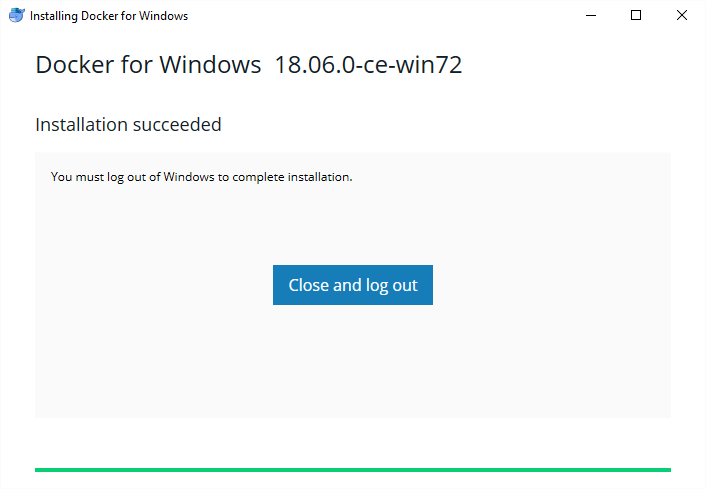 Installing Docker on Windows 10 is very easy. It is the same as installing other software in Windows 10. Docker container brings a new hope to application development. This virtualization technology can change the way developers distribute their software. The Docker Containers is more lightweight and more compact compared to traditional virtualization technology. Visit this Docker download page. Please note that you will need to login to Docker or create a new Docker account if you don’t have it already. You will get a file called: Docker for Windows Installer.exe. It’s a pretty big file, about 500 MB in size. Double click the Docker for Windows Installer.exe file and follow the installation instruction shown on your screen. There are not many things to change during the installation. Use the default settings should be good. Once installed, you need to log out and re-login to Windows. Double-click the Docker for Windows icon on your desktop or start menu. This will start the Docker service. On the first run, you may be asked to enable the Hyper-V feature on your computer and will reboot afterward. You can check and open the Docker Settings from the Docker icon in the taskbar. At this point, Docker is up and running. Kitematic is a GUI application to manage Docker containers. 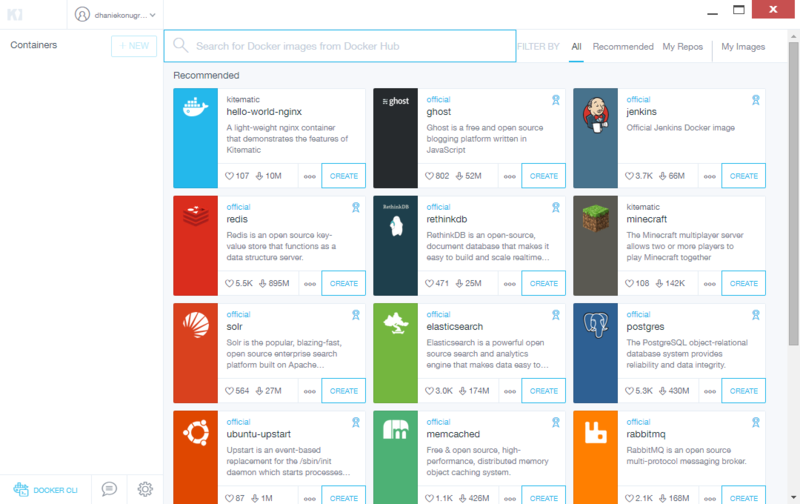 You can search for images from Docker Hub, upload and manage your own images and many more. To install, right-click the Docker icon in the taskbar and click Kitematic. It will open a web browser and download the Kitematic installer. Extract the zip file and then move or copy it to C:\Program Files\Docker\Kitematic. To run Kitematic, simply double-click Kitematic.exe. It will open up the Kitematic installation wizard. You will need to login to Docker hub. 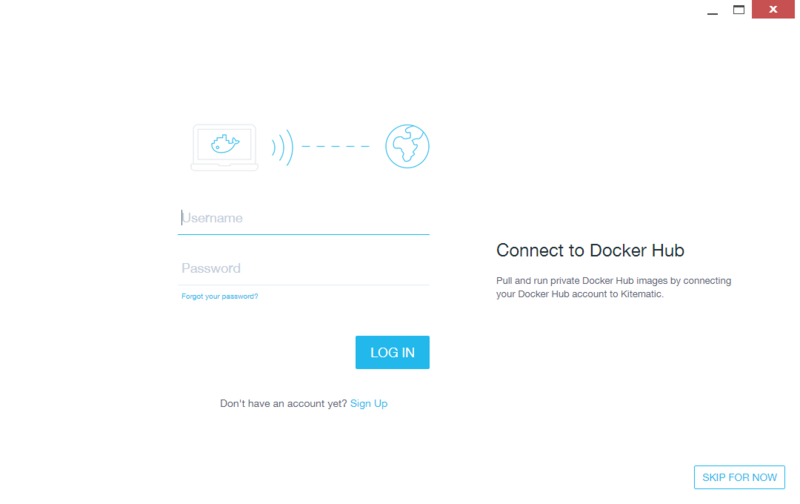 Create a new Docker account if you don’t have yet. 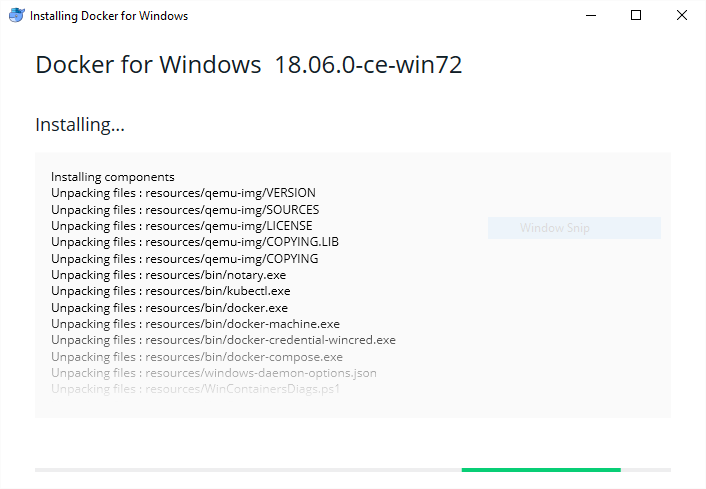 Install Docker in Windows 10 is very easy. 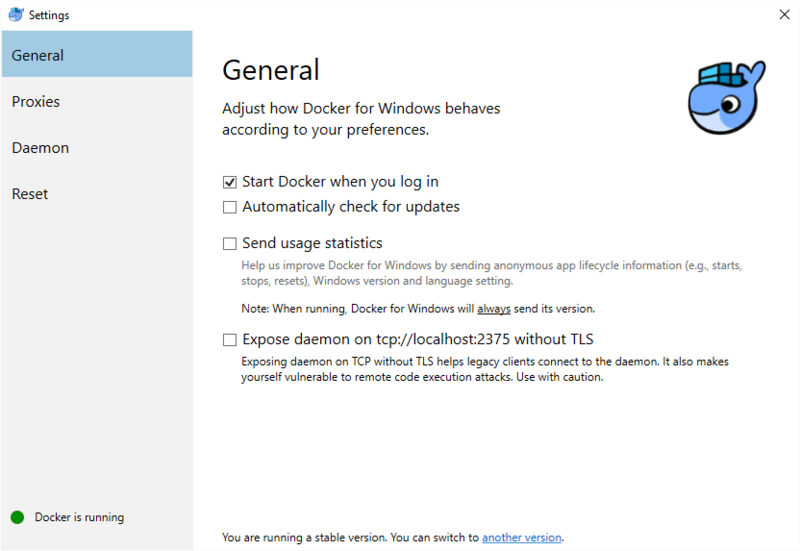 With few clicks, you can have Docker up and running on your Windows 10. Plus, Kitematic is finally works well and it is very useful to manage Docker containers.